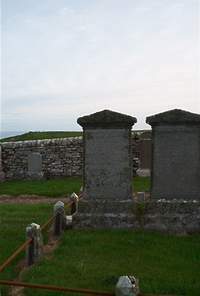 Angus Makay of Roster native of Farr died 15th October 1858 aged 68. Wife Eupheimia Makay native of Kildonan died March 1846 aged 43. Also of their children John, William and Jane who died in infancy.